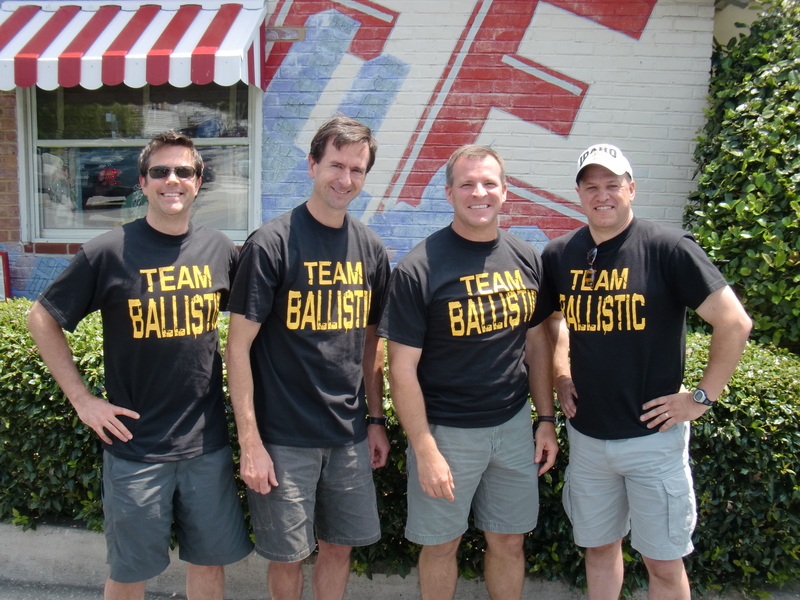 The much anticipated summit meeting of the Atlanta Area Team Ballistic group took place today. This gathering was made possible through the leadership of Coach Dave, who’s on vacation nearby, celebrating his 25th wedding anniversary. And what better way to celebrate your silver wedding anniversary than getting together with several other P90X cultists? We dined at the OK Cafe in Buckhead and I think it’s safe to say that never has this fine extablishment enjoyed the patronage of such a fit, attractive and distinguished group of diners. Which begs the question: what do you order off a diner menu when you’re eating out with other P90X adherents? We all sheepishly reviewed the menu options. Each waiting to see who would make the first move. Maybe it was peer pressure, or maybe we’ve just all drank the Kool-Aide, but I can report that NO chicken fried steak or pork rinds were consumed by any member of our party. This is a group of people I can really get to like. Shad treated everyone to lunch and gave us each a protein drink sample pack. Bruce left the tip. 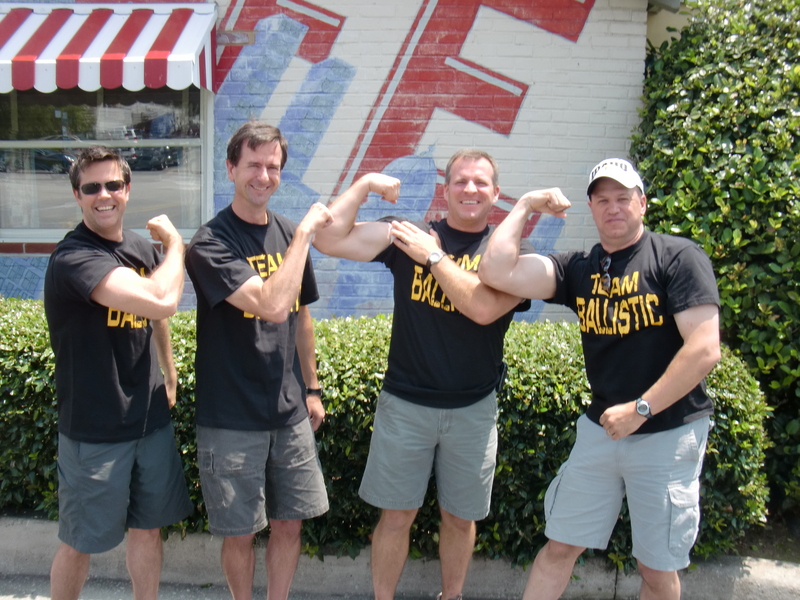 And Dave gave us all these wonderful “Team Ballistic” t-shirts. I contributed nothing. What’s not to like? Seriously though, it was great that we had the opportiunity to finally meet in person. 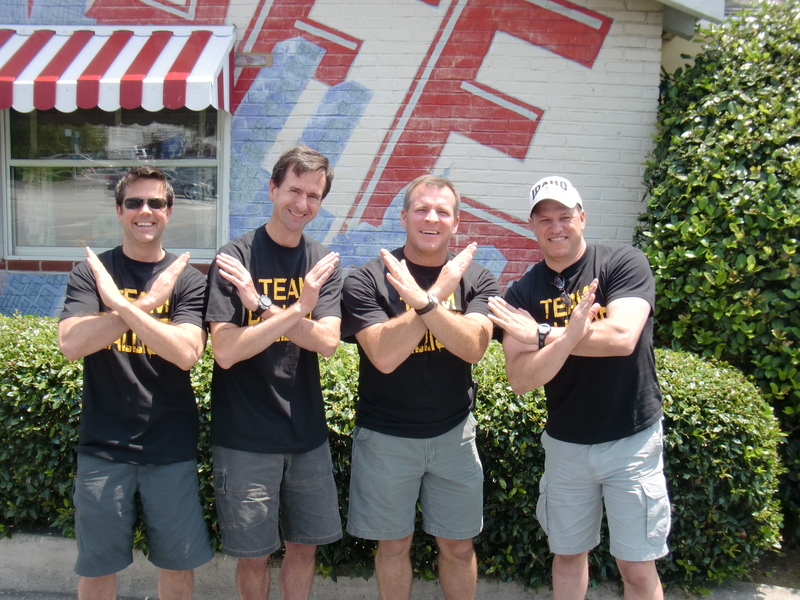 We’ve shared so many ups and downs on the Team Beachbody thread that Coach Dave moderates. I would link to the thread, but WordPress suspends your account when you hyperlink to teambeachbody.com. If you’re interested though, you can surf to the P90X message board found on teambeachbody.com and look for the thread titled: P90X STARTING in MAY! BEGINNERS & VETS GET RIPPED FOR SUMMER! After lunch, we went outside to take some pictures of the group and boy were we surprised who we bumped into! Recovery week for me. I did Insanity’s Cardio Recovery this morning. This entry was posted in P90X-Insanity Hybrid, Round 2 and tagged Cardio & Max Recovery, P90X-Insanity Hybrid, Team Ballistic, Tony Horton. Bookmark the permalink.